. We love doing canvases for kid’s rooms, it adds a unique flavor to the decor not typically found.
. Here are a couple canvases made by CASE around Canadian themed imagery. Toronto Graffiti represented today at the Toronto Festival of Beer! Amazing local talent Sonz1 showcased his great skill for some live painting at the Molson Canada booth. Below is some work in progress. 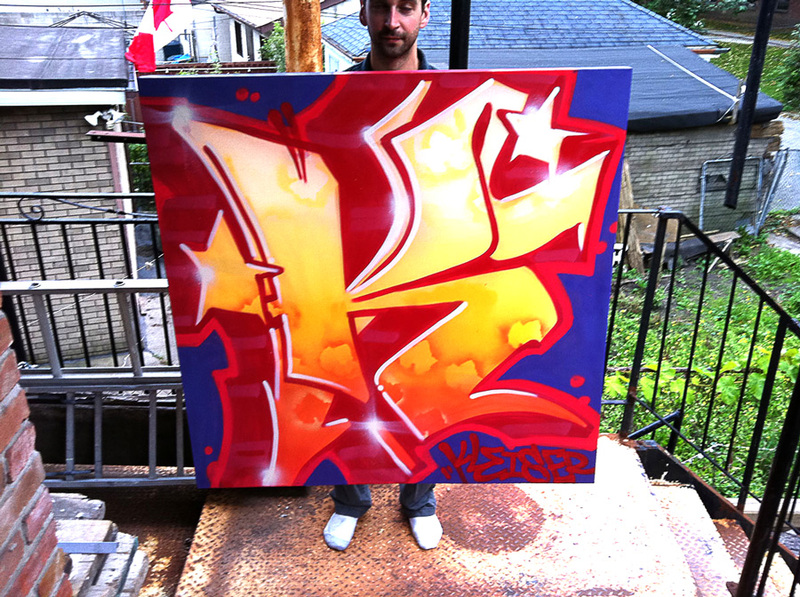 This massive 6ft x 4.5ft canvas was a commission piece done by one of Toronto’s finest artists: Artchild. This graffiti artwork incorporated the popular “Toronto Skyline” theme and wildstyle graffiti lettering for the two names “Melly-D & S-Lee”. Commissioned canvas (4ft x 4ft) which will be placed in the owner’s home entrance. SKAM Live at Dundas Square for Yahoo! 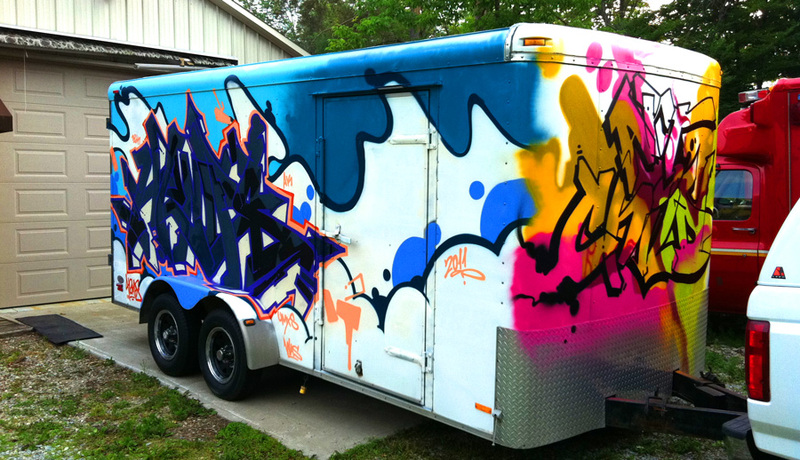 Here was a fun project we got to work on, a 16ft long trailer! Artchild and Hemps did a great job in rendering it and the owner was very happy with the results. This was one of the few projects we get whereas the client didn’t want a sketch beforehand, just to let the artists let inspiration take them on their artistic journey for the day.